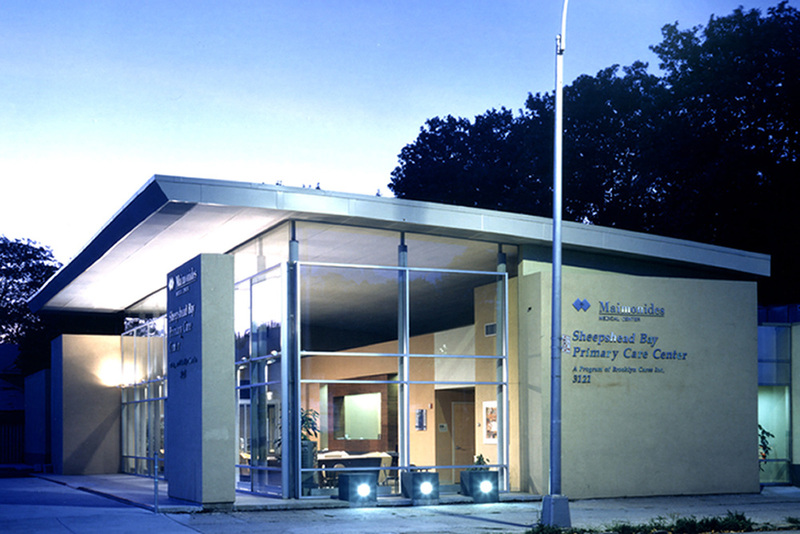 To facilitate its mission of providing a comprehensive primary care services to medically underserved populations, Maimonides Medical Center built a freestanding facility in Sheepshead Bay, Brooklyn. The center serves a large, recently resettled immigrant population that has not been heavily sought in the managed care marketplace. Available services include primary as well as specialty care, selected diagnostic radiology and cardiology services; and others such as OB/GYN and pediatric care. LHPA designed the facility by renovating and redeveloping a former, neglected neighborhood restaurant of 10,000 SF. 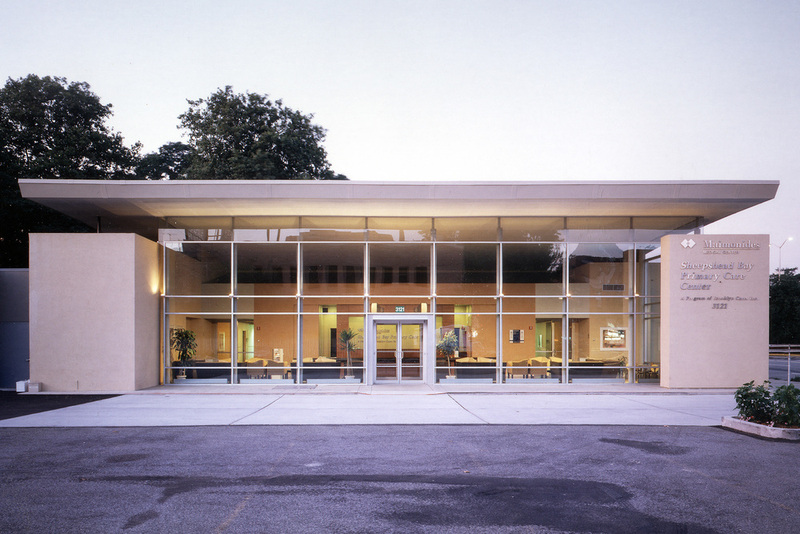 One side of the existing building was carved away and replaced with a clear glass wall enclosing the bright and inviting new waiting room and reception area. The clinical area was efficiently designed for optimal layout of nursing functions and allows ease of access by patients and physicians from restricted sides. Treatment and radiology areas are located in a common support zone along with the lab. The entire facility was developed in accordance with New York City and ADA requirements and in conjunction with New York State Health and Accessibility codes. 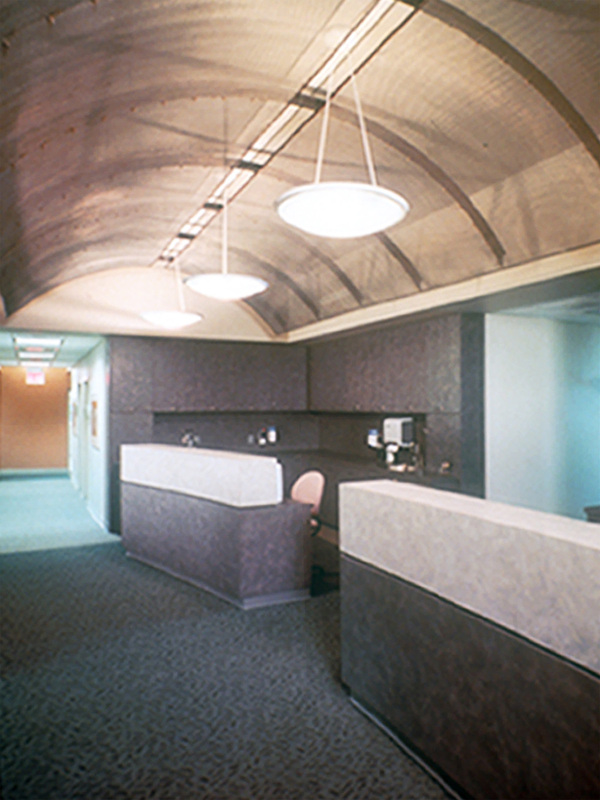 The firm’s responsibilities also included all interior and graphic design, including furniture and signage.